For sponsorship opportunities, please contact karen@teamycc.com. Asset Dedication partners with planning-centric advisors by lifting the burden of investment management and back-office administration. Our investment strategy expands upon the ACP model of dedicated portfolios and links each client’s portfolio to their lifetime financial plan via our unique Critical Path system. We also provide a full range of back-office services to help reduce your operational headaches. Our goal is to help advisors scale their business and free up more time for servicing clients – and living their own lives – and less time dealing with technical and tedious tasks. For more details, please click here. Care.com HomePay is the nation's leading service for household employment payroll, tax and labor law compliance. We are proud to work with thousands of high-quality advisors as a resource for their families with household employees (such as a nanny, house keeper, senior caregiver or personal assistant). Our comprehensive, guaranteed service ensures you and your clients will be free of work, worry and risk. 2907 W. Bay to Bay Blvd. At LLIS, we strive to provide what some call ‘impossible service standards.’ From the helpful person manning our phones to the members of our New Business Team who leave no stone unturned, our goal is to find the right insurance solutions for every client. Our Advisor Services Team keeps up-to-date with the latest policy designs, underwriting niches, and emerging trends in wealth protection, giving us the ability to better identify the right product mix with the necessary safeguards for your clients. And we’re always looking for ways to streamline the process. With this level of dedication, nothing is impossible. LLIS is not made up of money managers, accountants or financial advisors, nor do we solicit business from the general public. Rather, we are experts in finding the right insurance based upon a client’s needs and their fee-only financial advisor’s recommendations. There are more than three centuries of cumulative experience on staff and ready to serve our clients nationwide. Learn how the “new” reverse mortgage may help your clients age 62 and older to effectively leverage an important asset: home equity. Thanks to significantly lower costs and academic research (Evensky, Salter and Pfau) that demonstrates the value of the unique credit available with the FHA-insured Home Equity Conversion Mortgages (HECMs), reverse mortgages have gained acceptance as an effective financial tool to help meet the challenges of retirement financing. To learn the four common uses of reverse mortgages that may close the financial gap for your clients, please contact Tom Dickson at 412.580.5954, or tdickson@reversefunding.com. TD Ameritrade Institutional is a leading provider of comprehensive brokerage and custody services to more than 5,000 fee-based, independent Registered Investment Advisors and their clients. Our advanced technology platform and outstanding personal support allows advisors to run their businesses more efficiently and optimize time spent with clients. TD Ameritrade Institutional, Division of TD Ameritrade, Inc., member FINRA/SIPC. 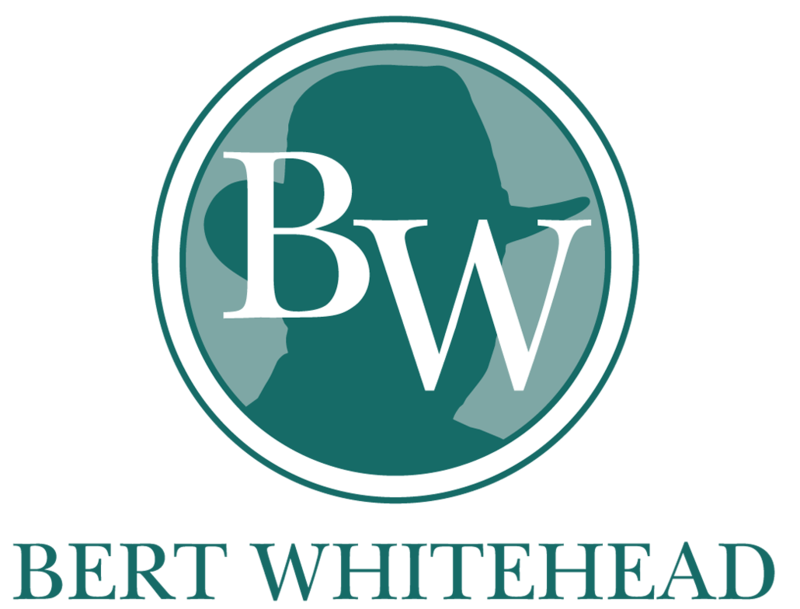 Bert Whitehead is a pioneer in the fee-only financial planning industry. His behaviorally based financial theories are the foundation of the Cambridge System. Bert is the founder of the Alliance of Comprehensive Planners, as well as his own practice started in 1972, Cambridge Connection, Inc. The bookstore lists popular marketing and client material developed by Bert, including Why Smart People Do Stupid Things With Money: Overcoming Financial Dysfunction, the ever popular Deduct It! Deduct It! Charitable Contribution Tracker, as well as several others. You’ll find Bert’s Bookstore online at www.bertwhitehead.com. Dimensional Fund Advisors LP is a leading global investment firm that has been translating academic research into practical investment solutions since 1981. We strive to build deep, enduring relationships with advisors who share our desire to create better financial outcomes for clients. Dimensional and its global affiliates manage $376 billion for clients worldwide (as of September 30, 2015). FirstCity Bank of Commerce is delighted to be part of the 2017 ACP Annual Conference. As the protector, custodian and watchdog of your client’s financial welfare, it is important you choose a bank with the same attention to detail and customer focus. FirstCity Bank of Commerce maintains the highest standard in our mortgage and banking services, and we are committed to serving you and your customers with the individual attention deserved. FirstCity Bank is able to provide lending services nationwide while maintaining the personal touch of a community bank. The Brandt Team (Beth Brandt and Richard Brandt) are an integral part of our commitment to offer superior lending options and quality customer service. With over 30 years of experience, their knowledge and practical expertise ensures they will find the right loan program for your clients. The Brandt Team provides a consultative approach and will identify a mortgage product that supports the financial objectives of your client. Their years of experience enable them to structure loans with complicated situations, and leverage FirstCity Bank’s balance sheet to fund complex loans. Working with the latest technology, the Brandt Team makes the loan process, quick, easy and stress free. Grendel Online - the leader in practice management software that currently includes CRM, client reporting (performance), client portal, account aggregation, compliant file archive, email archive, portfolio rebalancing, fee billing, supervisor controls, mobile apps, and more. The Law Office of Lori J. Neidel offers legal and compliance consulting services to the financial industry in the areas of regulatory matters and compliance. It serves individuals and firms seeking representation and counsel in registration filings, drafting advisory agreements and business succession planning documents, and representation in regulatory enforcement proceedings. Adviser Compliance Services offers independent Registered Investment Advisors outsourced chief compliance officer support. ACS serves advisors who want to outsource their compliance obligations in a cost-effective yet comprehensive manner. Now marking our 42nd anniversary, MAGA Ltd. is the nation’s oldest long term care planning specialist. We offer cutting-edge LTC planning solutions, including traditional and asset-based/life and annuity Long Term Care Insurance (LTCI) designed to protect retirement assets and provide quality choices of care. As an ACP Sponsor for over a decade, we will work with you every step of the way regarding plan design, underwriting criteria, and carrier selection. MAGA will also assist you with administrative services such as helping with filing of a claim and policy reviews. Take advantage of our 2017 CFP board accepted CE programs. Licensed nationally, we work hard to make long term care planning easy. Put our experienced, award-winning team to work for you! Call Brian I. Gordon or Peter R. Florek at 800-533- 6242 or email info@magaltc.com. Markel Cambridge Alliance, a Markel Specialty program offers E&O Insurance for RIAs and FPAs. Since 1988, it has established a strong reputation as a result of its industry expertise, stable premiums, and excellent claims management services. Policy customization and risk mitigation strategies. Optional cyber liability coverage. The RightCapital solution brings Wall Street models and cutting edge technology together to benefit you. Our team brings many years of experience in the financial services industry from a variety of areas, including capital markets, financial planning, retirement income, insurance & annuities, and risk management. We've passed that experience on to you through this powerful planning tool! SSG was created to provide high-quality, dedicated services for independent registered investment advisors. We work exclusively with independent RIAs across the nation serving affluent clients. Our management team has a proven track record of building and managing brokerage and custodial platforms renowned for their customer service. We have developed a personal and flexible service model for advisors that custody their client assets with us. Our brokerage technology and custodial services are helping independent RIAs across the country to be more efficient, more productive and more successful. Sunwest Trust is a New Mexico trust company that will act as Custodian for your clients’ IRA, allowing them to purchase anything that the IRS does not prohibit. In addition to acting as custodian for self-directed IRAs, Sunwest can act as a loan servicer for any private loan arrangement including owner financing, rental, and lease agreements. Sunwest is a proto-type individual 401k plan provider and can act a trustee for your clients individual 401k, or allow them act as their own trustee. Sunwest has been in business in Albuquerque for over 28 years and has a strong and dedicated staff. The Utah Educational Savings Plan (UESP) is a nonprofit 529 college savings program with more than $10 billion in assets under management. UESP is consistently ranked among the nation’s top 529 plans for its low fees and high-quality investment options. For more information about UESP and its financial advisor-friendly features, visit advisor.uesp.org or call 888.529.1886. Wells Fargo Home Mortgage provides services in all 50 states, featuring a full menu of traditional products as well as reverse mortgages, second homes, construction-to-permanent financing. © 2009-17 Alliance of Comprehensive Planners, Inc. All Rights Reserved.